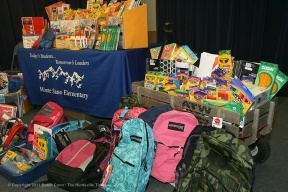 Teachers will receive needed supplies and students will be inspired thanks to donations of surplus materials and supplies by local businesses. The Creative Chicago Reuse Exchange (CCRx) is inviting Chicago businesses to donate surplus and overstock items to Chicago teachers to enhance the learning experience of thousands of students. Teachers can “shop for free” from the donations at CCRx’s Swap Circle for Teachers on Saturday January 27, from 10am to 4pm, at Victor Hall Chicago, 3636 S. Iron Street in Bridgeport. Chicago Businesses can drop off donations on January 23-25, from 10am to 4pm, also at Victor Hall Chicago. CCRx surveyed 500 Chicago teachers for their material needs and dreams. 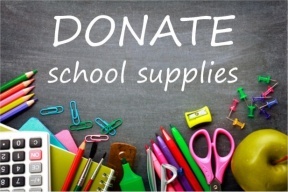 They reported spending $500 to $1000 out-of-pocket every year for basic office supplies – xerox paper, pens and pencils, glue, even cleaning and personal hygiene supplies. The list of “Most Wanted Items” is on the CCRx website, www.creativechirx.org. All donations are tax-deductible. People with large items or quantities should contact CCRx for special arrangements at info@creativechirx.org or 312-909-5902.